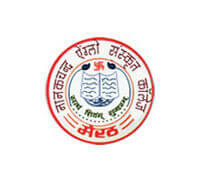 The Nanak Chand Anglo Sanskrit College, Meerut is one of the reputed law colleges in Uttar Pradesh. It was established in 1952. It offers Bachelors and Masters Courses in various disciplines. The college is well-known for its Bachelor's programme in Law. The faculty of the college is inspiring that motivates students to excel in the law profession. The Nanak Chand Anglo Sanskrit College is accredited by the Bar Council of India. It is a Private College in Meerut. A student should have completed Class 12th/ equivalent from a recognised college/ university. The applicant should have a minimum aggregate score of 50% marks in the Class 12th. The CLAT (Common Law Admission Test) is a national level law entrance exam that paves the way for admission in the law colleges of India. The exam in conducted on the rotational basis by the 19 NLUs (National Law Universities) of India.